The key to a successful email is hierarchy. Why? It helps the reader skim, read, and understand the content, makes it more visually appealing, and increases click-through rates. And that’s really want we want, right? You content first and foremost, so get your draft together. This may consist of a brain dump and just putting it all on paper, or collecting content from team members. 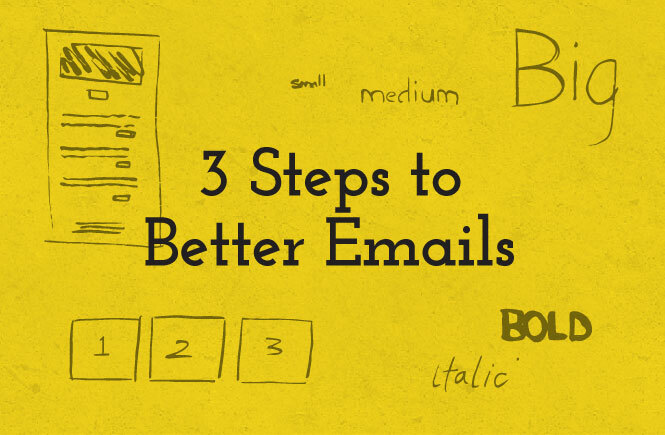 Either way, gather everything you want and need to say in your emailer. Edit, check for grammar, on-brand language, links, etc., etc. Next step is to look at your template and reorganize and edit the content to fit. Start thinking about the headlines, subheads, links, etc. If your copy is missing some of these, add them in. This works both ways. Sometimes your template will have to be tweaked to accommodate your content. Most people will see the larger, bolder, and colored items first. This is what tells them what they should pay attention to first, second and third. The sizes below are only guidelines. Depending on the font used, color, whether it’s bold or normal, etc., you can maybe go a bit smaller or larger. Stick to 1-2 different fonts. Large headlines should have a font size of 26-36px, depending on its length. Subheads are used to break up large amounts of text, differentiate content and add visual interest. They should have a font size of 20-26px. Body copy should consist of short blurbs of 1-3 sentences and should be 14-16px. Break up long content with subheads and images. Also, mix up the bolds, color, italic to help as needed. But don’t go crazy. Think about how it supports the content and hierarchy. People have more than enough to read in their inbox, so make sure your emailers get the attention they deserve by making them easy to read and visually appealing. Got any other ideas on how to make emails better? Do you hold onto things that are no longer useful? I do. I recently found 10-year-old art supplies that I’ve kept for some insane reason. Well, now they’re out. Letting go can be hard, but we have to do it to make room for new and better things. With the new year around the corner now is the perfect time to figure out how to be more efficient and effective. Better design can help. Review the past year’s campaigns, marketing, brand, etc. Did the brand feel cohesive? Was your audience uninterested in the marketing? Ask your team to participate. See what worked well, or not, ask questions and listen. Set some goals based on your findings from Step 1. This can be done individually and as a group. Think both short-term (1 year) and long-term (2–5 years). Examples might be: More funding for a new brand; change your annual report from a printed piece into a microsite. Develop a game plan for moving forward. Prioritize and set timelines to hold yourself, and others, accountable. Start looking for resources and services to improve your design, marketing, and funding. I know this is easier said than done. But it’s necessary if you want to reach those big, hairy goals, not to mention, change the world. 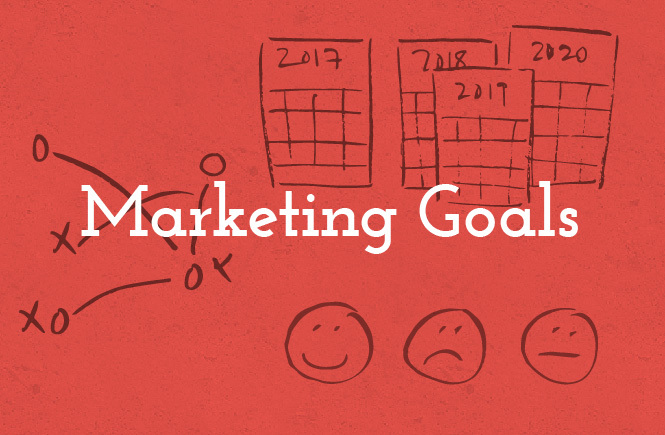 Are you doing any goal-setting for the new year? I’ll tell you mine if you tell me yours. I’m a supporter of Planned Parenthood and a big fan of how they use design and marketing. Being around 100 years is nothing to sneeze at. They’ve lasted this long because they’re always at the forefront of the reproductive rights movement. One thing is for sure, they know their brand. They are “the cool aunt with expert life advice.” Everything they do gets filtered through that voice. I’m proud of the work Planned Parenthood does. As a designer, I’m equally impressed by how responsive and innovative they are. Over the years their ads and marketing have utilized everything from infographics to lighthearted illustrations. Check out a few examples over at Fast Company. 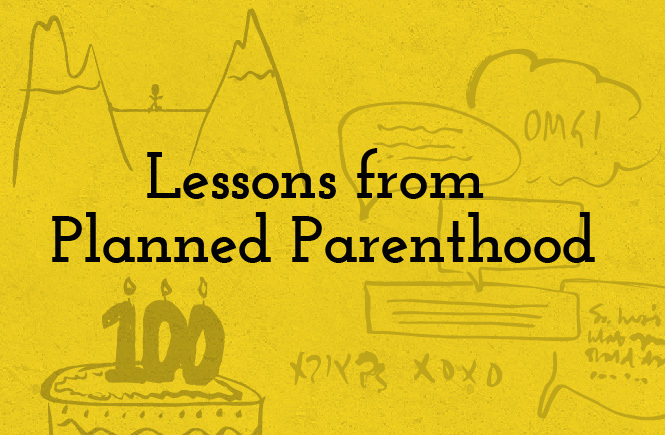 Now Planned Parenthood is investing in social media, storytelling, and human-centered design. Their experience design work with Ideo has even won an Innovation by Design Award. I don’t know about you, but I’m inspired by other people doing great, seemingly impossible, things. Your organization might be brand new or just a few years old, but can you imagine what it will look like in 100 years? Can you set things in motion now to ensure your organization is relevant and essential? Are you listening to your audience and their values? Is your brand aligned with your audience? Are you experimenting with current trends in marketing and design? Are you adapting as things change? Is there an organization you admire? I’d love learn about them. Can your nonprofit benefit from design thinking? Over the past few years, businesses and nonprofits have been talking a lot about design thinking. It’s a way to solve complicated problems using empathy, creativity, and rationality. It also involves quickly testing ideas to learn and improve. What’s so great about design thinking is that it can lead to ideas that resonate and innovate. I’ve been learning about and using design thinking since 2007. I can’t believe that was almost 10 years ago. But my passion and interest have only grown since then. I love tackling complex problems with design thinking and teaching it others. It allows anyone to find creative solutions and approach a topic from a different perspective. I recently lead a workshop for PreKindergarten and Kindergarten teachers at a local public charter school. They were looking for solutions to combining the students’ academic and developmental needs. After I guided them through the process, they were able to approach the problem from a new perspective and find creative solutions. The teachers quickly created the prototypes with supplies on hand and tested them immediately. They put several ideas in place the following week and refined them further. If you’re struggling with coming up with new ideas to problems try design thinking. It’s fun and great way for teams to collaborate. 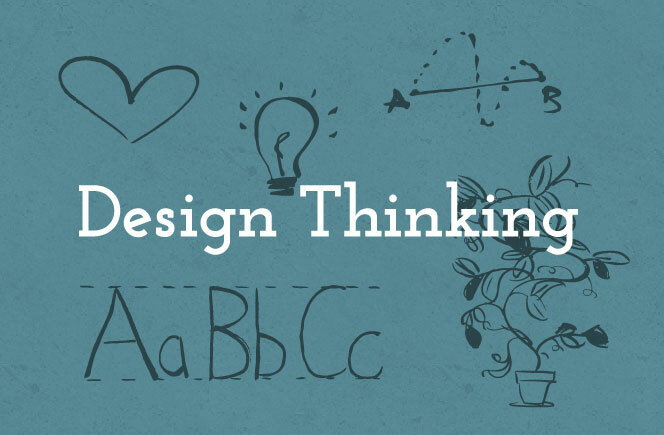 Have you tried using design thinking? How was the experience? Do you know what design for good is and how it can make a difference in the impact you have? This type of work goes by a few names: social design, design for social impact, design for good. But what does it mean? It used to mean doing pro-bono work for nonprofits between paying gigs. Now, it’s much more complicated than that. Many designers are now tasked with driving impact and improving services and processes. It’s new and exhilarating territory for creatives like myself. Any project that strives for positive economic, social, or environmental goals. A bottom-up approach to the needs of the audience. 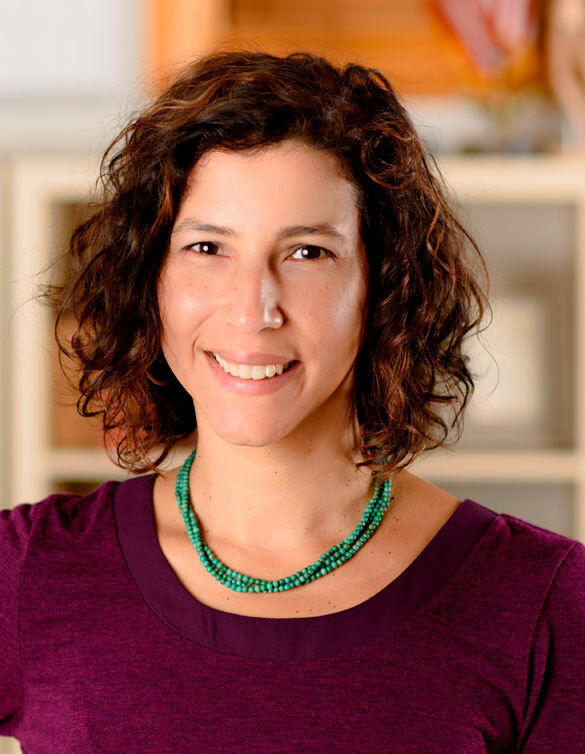 Being inclusive in who your audience is and how to reach them. Design-developed solution to a specific social problem, without a client. It can seem complicated to engage a designer to help you think, or even rethink, a problem. It’s so much easier to just say, “I need a new brochure.” If that is all you ever do, then you’re just scratching the surface. Bring a designer to the table early in the process, not at just when you’ve already decided what you need. 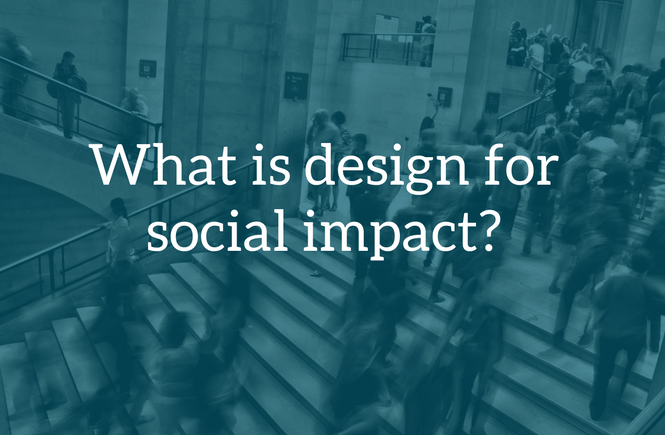 How have you used design for social impact? I’d love to know. I’m a designer that doesn’t believe in perfection. Yup, you read that right. Now, I know there are many people who would say I’m crazy for admitting this out loud. Let me be clear, I don’t mean that I’ll send your 10,000 brochures to the printer with typos. No, that’s not happening. In today’s digital space things can be iterated and tweaked constantly as you test and learn. Also, solutions to complex social problems should be prototyped and tested quickly to get insight from the community and not waste resources. 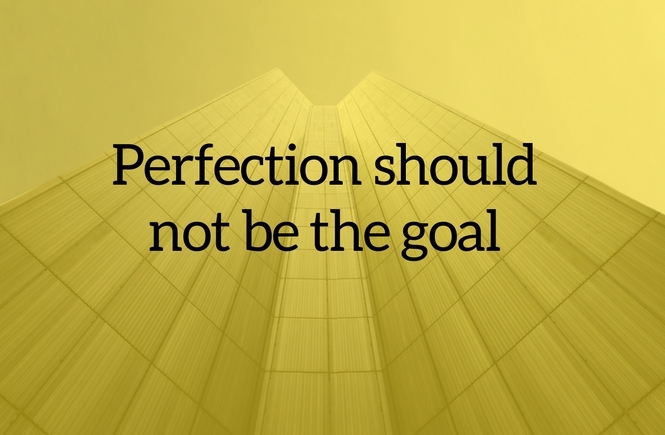 If you wait too long to get something perfect, you’ve missed your chance to be done and on to the next version. So, what do I strive for in design? What do you strive for in your work?